Colegio Los Leones de Quilpue (Liga Nacional) signed 31-year old American point guard Scott Rodgers (191-87, college: Drexel). He played last summer at San Jose in Paraguayan Metropolitan League. Rodgers managed to play in four leagues in two countries last year (!!!). 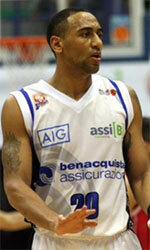 First he played at Gimnasia (LigaA) in league where in 6 games he had 6.2ppg, 1.5rpg and 1.5apg. 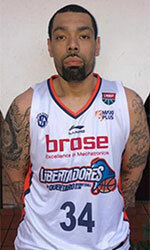 Rodgers' team made it to the Panamanian LPB Semifinals. He was voted Latinbasket.com All-Panamanian LPB 2nd Team in 2018. Rodgers is quite experienced player. He has played in nine different countries on three different continents (Asia, Latin America and of course North America). Rodgers has played previously professionally in Brazil (Minas and Sao Jose), Jordan (Orthodox), Mexico, Oman (As Seeb), Argentina (Ferro and Sionista), Dominican Republic (Caneros Del Este), PBL (Rochester R.), Panama (Halcones and Correcaminos) and Ecuador (Barcelona and ComuniKT). He attended Drexel University until 2009 and it will be his tenth season as a professional player.